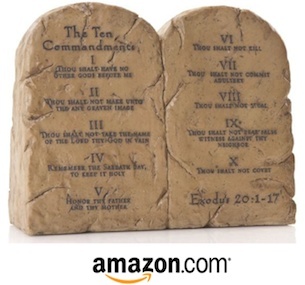 Hello, my name is Jean and I’d love for you to join me in hanging the Ten Commandments somewhere inside or outside your home or private business. 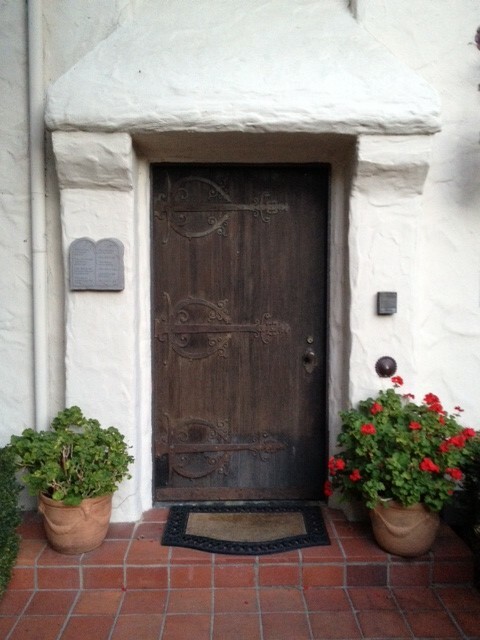 I chose the outside of my front door, as pictured. I wanted additional people to see them to remind them of all they stand for. Thankfully, they still hang in the Supreme Court, as most of our laws were based on the Ten Commandments. 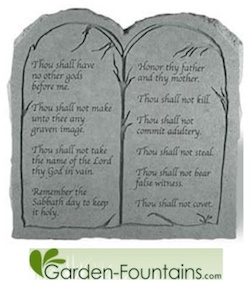 I am continually appalled and disheartened that our government , who used to at least try to abide by the Ten Commandments, not only doesn’t try, but they are also taking God and these truths out of our Judeo-Christian foundation, Christmas, Easter, schools, songs, etc. Also, most public buildings are gradually removing God referring plaques that have been at these sites for decades. It seems we can’t stop the government from gradually destroying our solid foundation and freedoms, but no one (at least not now) can rule that we cannot “Hang Ten” on our privately owned homes or businesses. You can be a BIG part of this movement by sending this website to all you know that would love to ride the waves with us and “Hang Ten”. 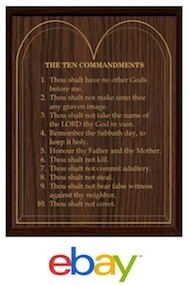 If you wish to simply print out a copy of the Ten Commandments suitable for 8×10 framing, you may choose from the Ten Commandments tab above according to your faith tradition.